Hunting away from home presents some unique challenges. When you are hunting in your home area, you have an entire season to bag your buck and fill out your deer tags. But on a DIY road trip, you are hunting under a deadline; you have a limited amount of time to get the job done. The situation calls for an entirely different set of strategies and actions. We can break the hunt down into four separate factors that can significantly improve your chances of success. Back home, you have a pretty good feel for the deer movement patterns. You know where they tend to bed and where they tend to feed and at least a general idea of how the move between the two. When you arrive at a new hunting area on a DIY hunt, you must learn as much as you can in a short period of time. 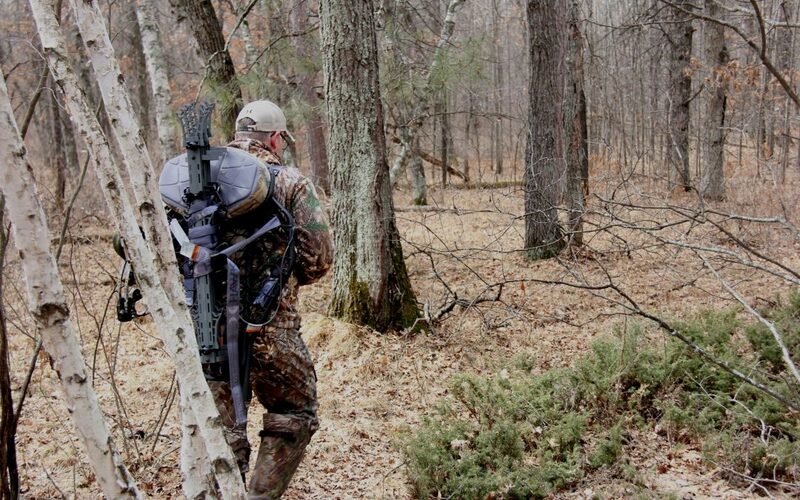 The greatest mistake most hunters make is to climb into a stand too early. 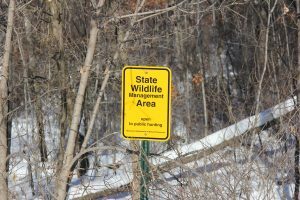 You may find an area that’s all torn up with rubs and scrapes or a beaten down deer trail and you can’t wait to get a treestand set up and start hunting. That can be a big mistake, because you may lack confidence in your spot. It’s a lot easier to sit all day when you have confidence in your spot, and that confidence comes only from thorough scouting. Hand in hand with an exhaustive scouting is the desire to make important decisions on the fly and be very aggressive in your hunting. Back home, you would never walk right through a bedding area, but on a road trip you might need to know where the deer are bedding and what is available to you. 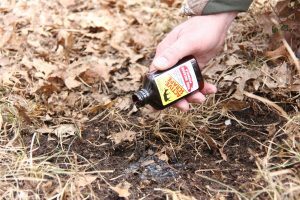 Spray down the lower half of your body with Scent Killer to minimize your ground scent then go right in there to look it over. 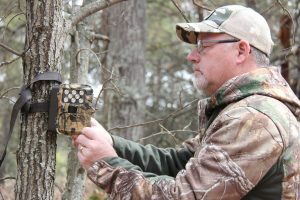 Get some game cameras out and check them often so you have a good feel for the area’s potential. It’s hard to beat a game camera on a primary scrape with some fresh urine or an estrus lure. You must take calculated risks and force the issue. If you wait for the information to come to you, you may run out of time, you must go get it. Rain or shine, you must be out there to make it happen. I have done more than 20 DIY road trip hunts in several states and it seems like it usually comes down to one or two stands where I feel like I am going to be successful if I just put in my time. Take the appropriate clothing for any conditions and gut out the tough times. Each time you hunt, you have a chance. If you are sitting in a motel waiting for the snow to stop or the wind to change, you are more than likely going to go home with an unfilled tag. Right along with hunting aggressively and hunting hard is the willingness to move quickly and adapt to changing conditions. On one hunt in Iowa, I felt like I was about 60 yards off target, so I climbed down and moved my entire set up the hill. I killed a mature buck the next morning from that tree and I would have helplessly watched him walk by if I had not moved. If you sense that you need to make a move, or feel that a wind switch may betray you, don’t wait, make your move NOW. Using equipment that is light and easy to put up and down is a real key to being mobile. Keep these four factors in mind on your next DIY hunt and you will increase your odds of coming home with a buck in the back of the truck instead of a tag in your back pocket.